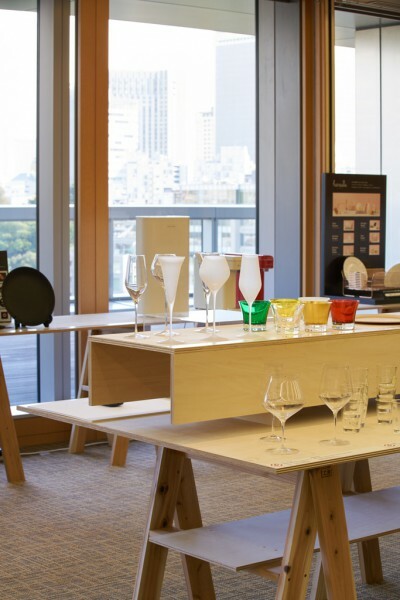 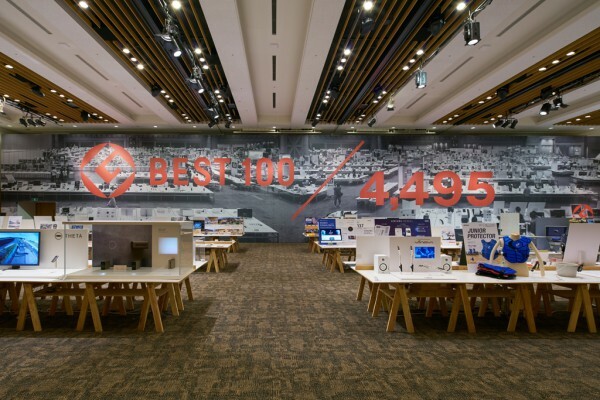 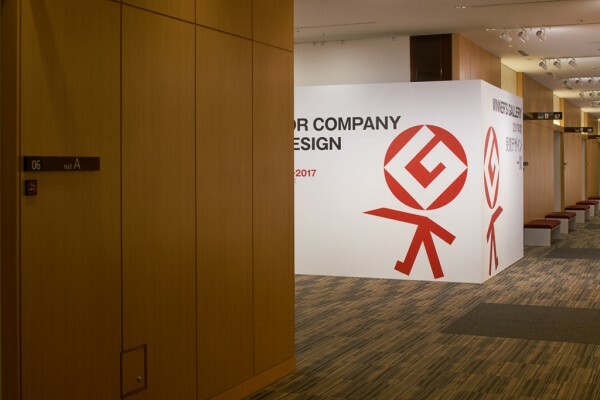 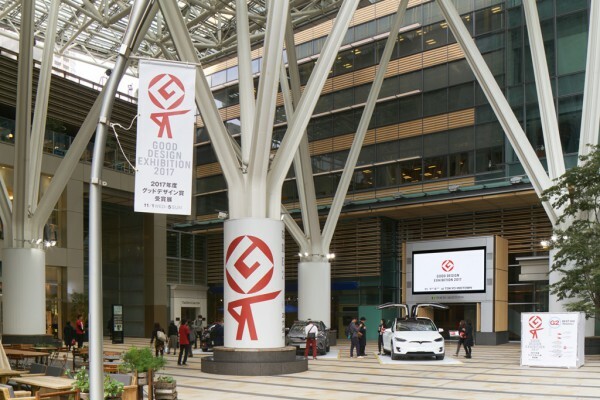 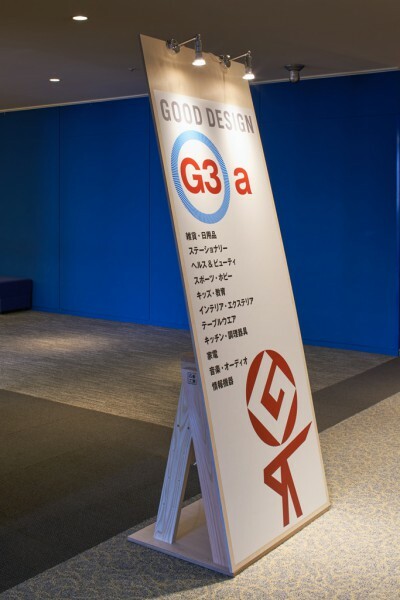 We designed the venue layout for the GOOD DESIGN EXHIBITION held at Tokyo Midtown. 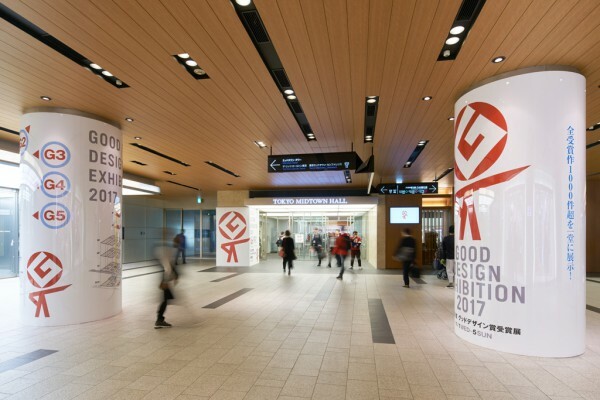 The exhibition comprises five venues and showcases all of the 1403 recipients of the 2017 Good Design Award. 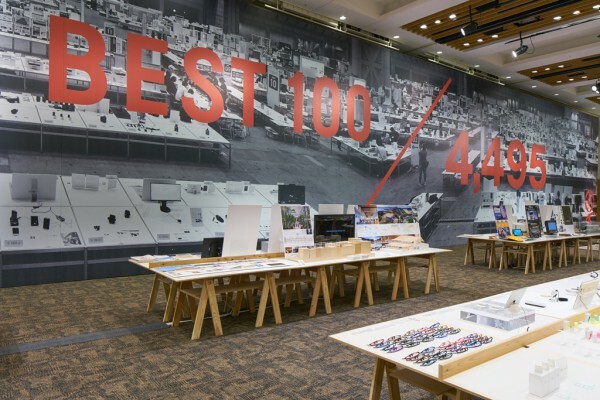 This year's theme "Connect," inspired us to propose a layout that would foster connections between people, objects and the venue. 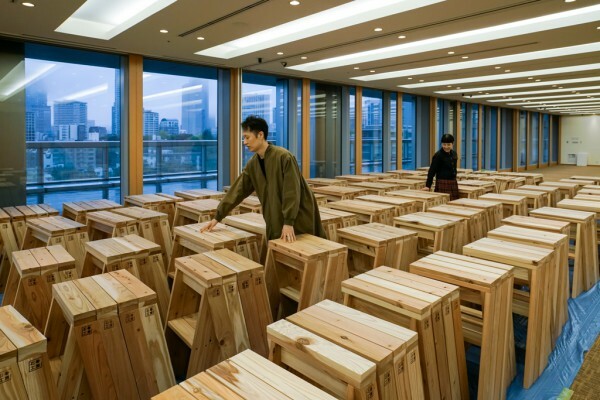 "AA High Stools" by Ishinomaki Laboratory were used as the unifying element throughout the exhibition space. 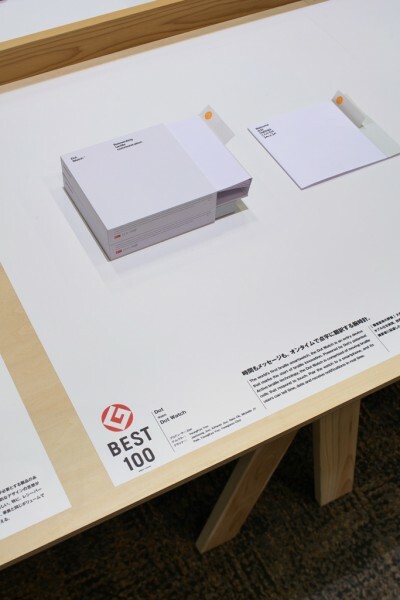 We envisioned a simple display board consisting of a 900 X 1800 mm Japanese linden plywood top board on which the Best 100 products were presented in a careful manner on a square sheet akin to a place mat. 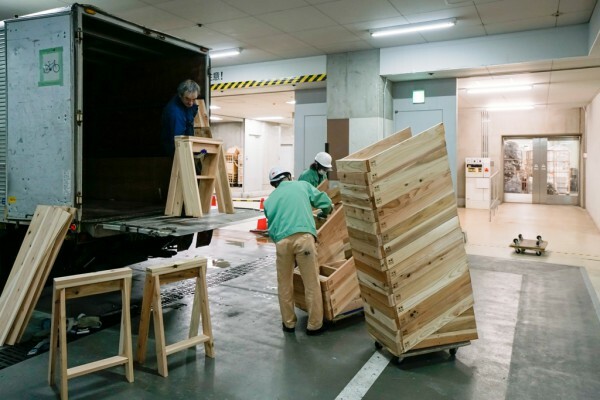 In addition, the AA Stools were fixed without using screws so that they could be used even after the end of the exhibition period. 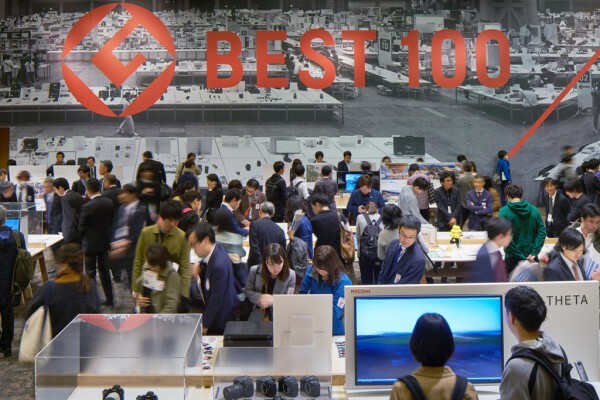 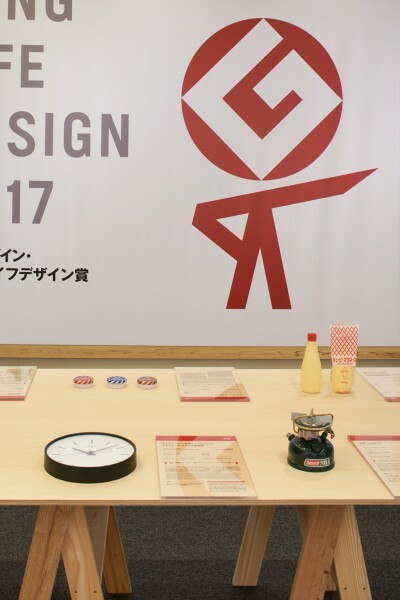 We set up a large graphic of the selection process spanning the wall surface of the hall to highlight this exhibition's connection with the secondary examination that oversaw the selection of the top items from a great number of candidates at Tokyo Big Sight. 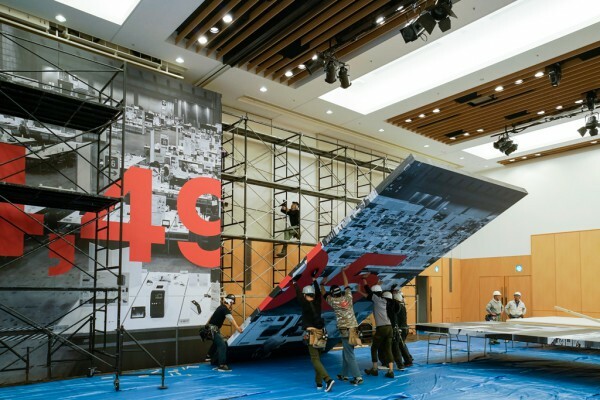 A 1200 X 2400 mm top board was used for the exhibition on of prize-winning works on the 4th floor conference room. 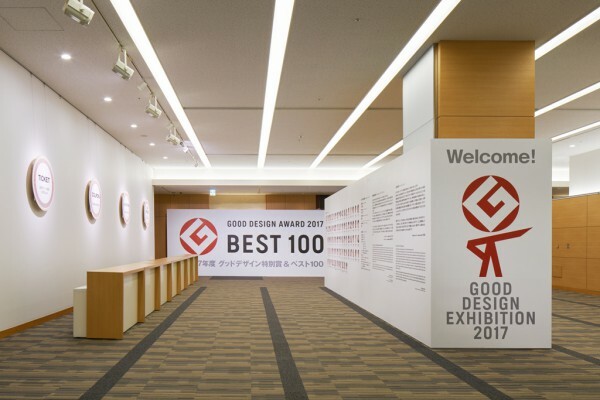 A stepped display was used to prevent the great number of works from overlapping each other. 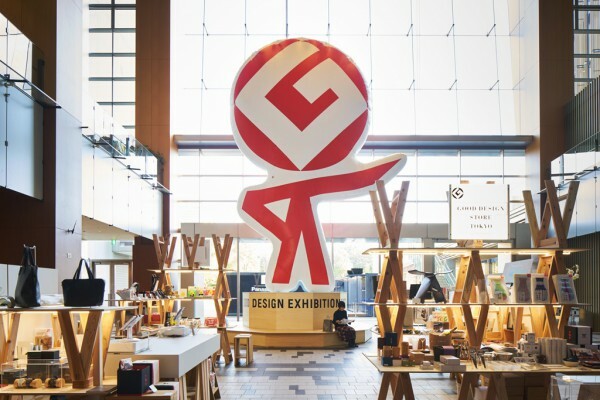 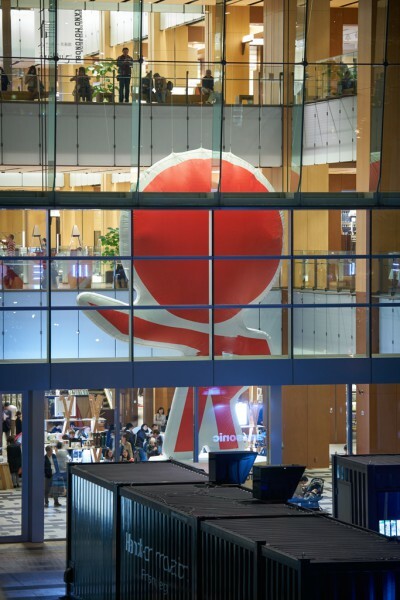 Part of the exhibition's visual signature is "G Ma-kun," a mascot partly shaped like an AA Stool and designed by Norio Nakamura to guide visitors through the wide range of venues. 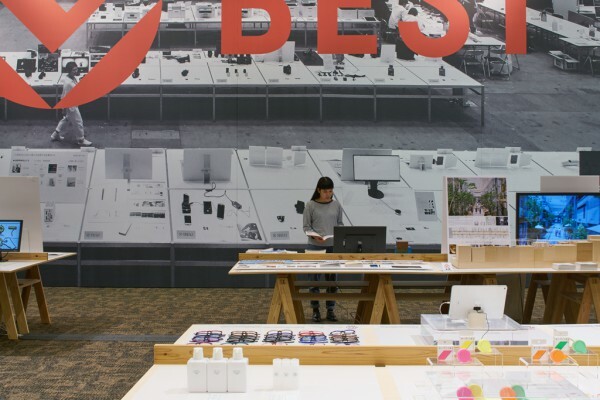 At the event space atrium is a store featuring stacked AA Stool shelves where can be purchased award-winning works. 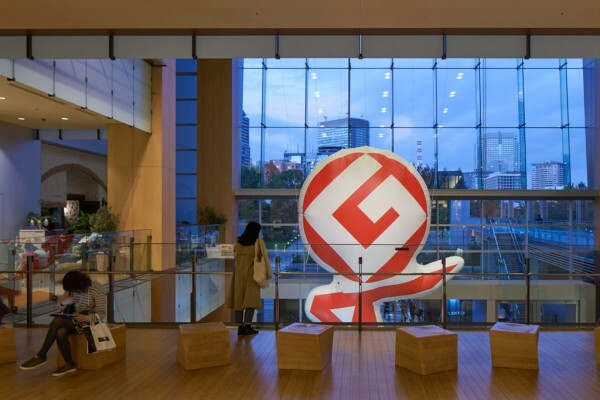 Next to the store is a towering 9 m tall G Ma-kun serving as the exhibition's symbol. 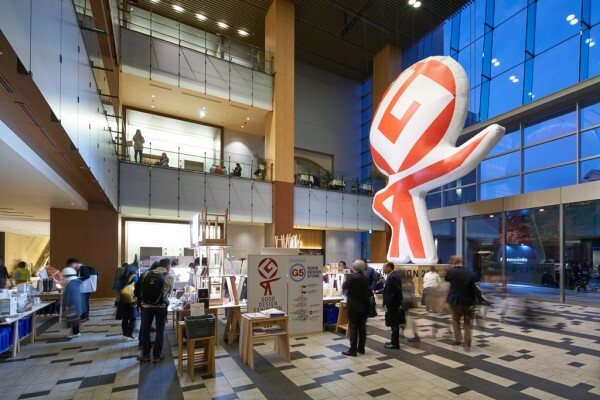 We sought to create space that would connect all of the exhibition's venues throughout the Midtown complex under a unified visual facture embodied by the AA Stools and the G Ma-kun mascot.